The first step of the legal divorce process is generally an information overload. If you are considering a divorce, you probably have a great deal of legal, emotional, and financial issues to consider. The Raleigh divorce attorneys of the [firm-name], understand how perplexing all of this new information can be. 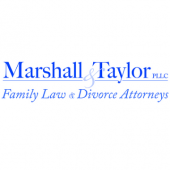 To make things a little easier for our clients, we offer the following free articles about topics related to divorce and separation. We’ll be adding new ones over time, so be sure to check back. If you need any advice about your divorce, child custody, or related topics, contact us at 919-833-1040.